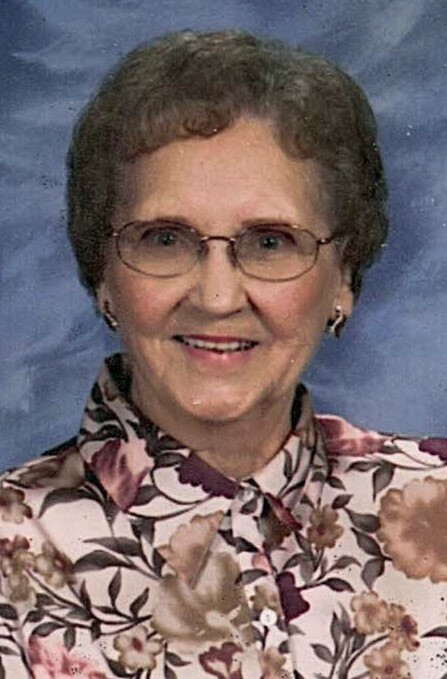 Sarah Angeline Riddle, age 93, of Northwood passed away Tuesday, February 12, 2019 at the Hospice of Northwest Ohio, Perrysburg. Angie was born to Marvin and Delsie Glass in Kentucky on June 17, 1925. Angie was a member of East Toledo Baptist Church, often volunteering for funeral wakes and was also a member of the NVFD #1 Ladies Auxiliary. Angie enjoyed taking fishing trips to Canada with her husband, William before his death in 1988. She was an avid gardener, especially loving her roses and enjoyed crafting. Angie is survived by her children, Brenda (Gary Sr.) Roberts of Northwood, OH, Linda (Frank Hamilton) Tudor of Delaware, OH, Larry (Shirley) Riddle of Cincinnati, OH, and Timothy (Rebecca) Riddle Murfreesboro, TN; grandchildren, Gary Roberts Jr., Deb Carter, Jackie (Ken) Wilson, Randy Roberts, Carla (Robert) Crosgrove, Andrea Riddle, Matt (Stephenie) Riddle and Kathy Riddle; 7 great-grandchildren; 8 great great-grandchildren, brother, Roy(Marthalou) Glass and many nieces and nephews. She was preceded in death by her parents, husband, granddaughter, Stephanie Riddle, 7 brothers and 2 sisters. Family and friends may visit the Freck Funeral Chapel, 1155 S. Wynn Rd. in Oregon on Friday, February 15, 2019 from 5-8 p.m. Funeral services will be held on Saturday at 11 a.m. in the funeral home. Burial will follow in Lake Township Cemetery. Memorial contributions can be made to Hospice of Northwest Ohio.